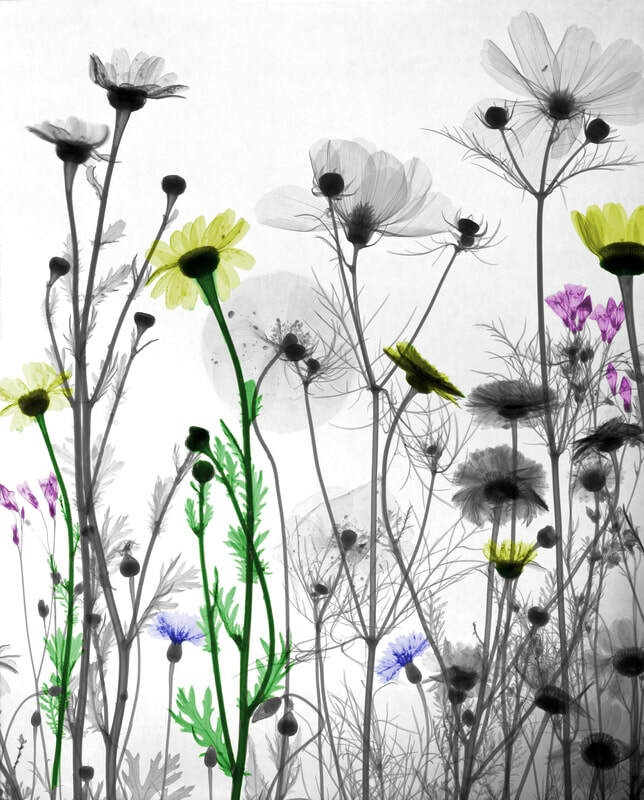 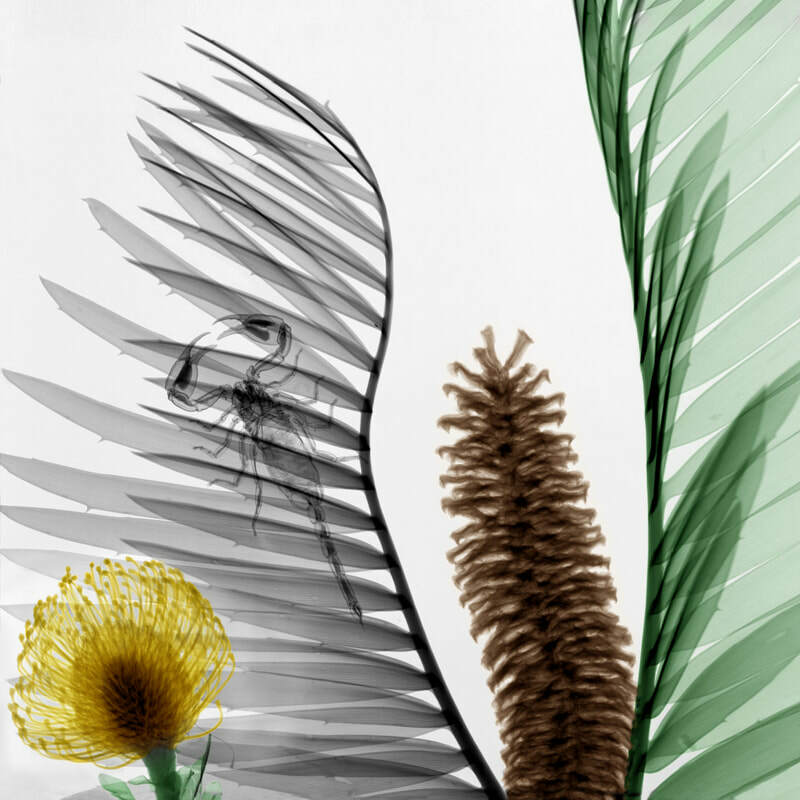 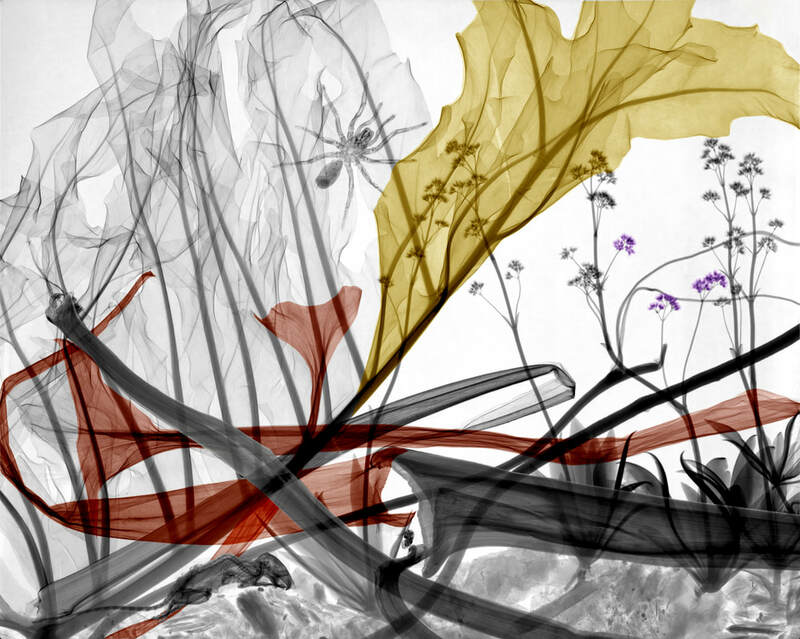 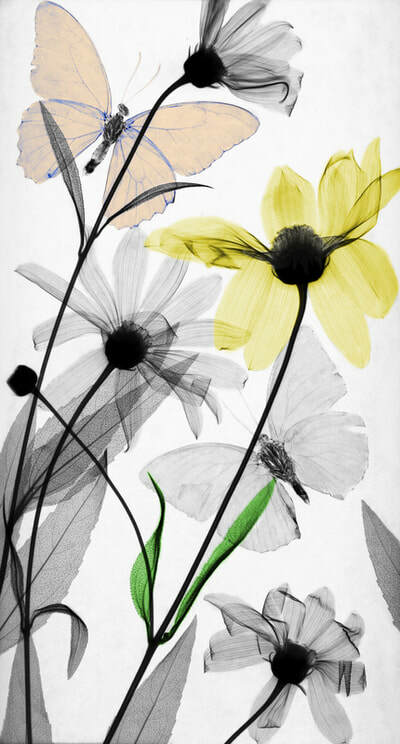 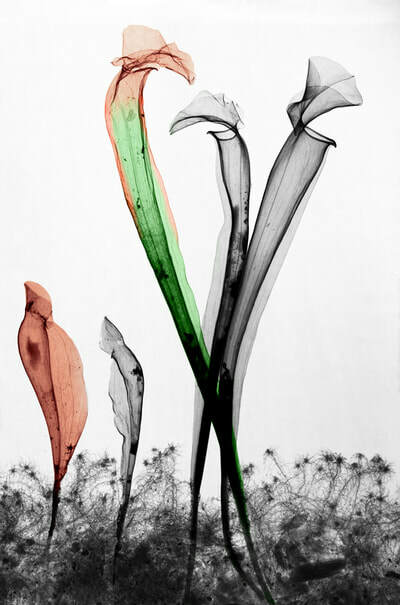 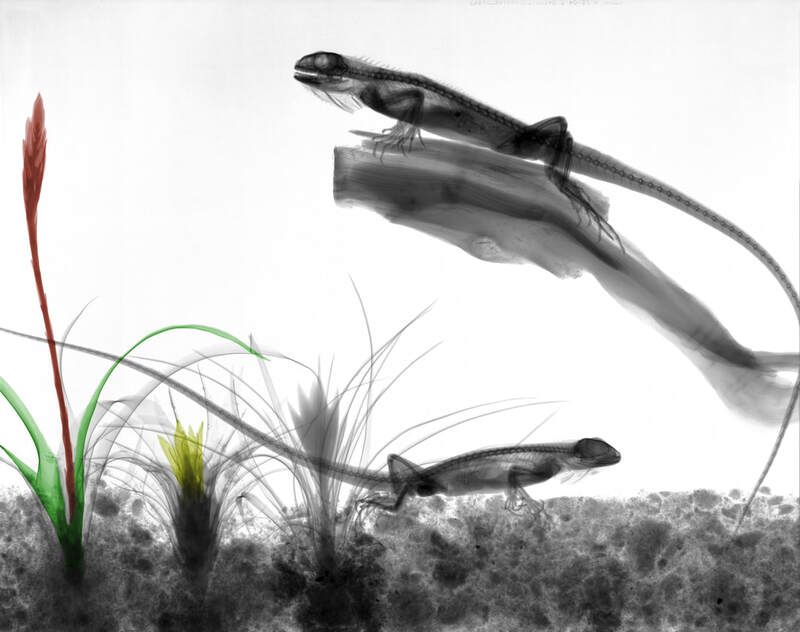 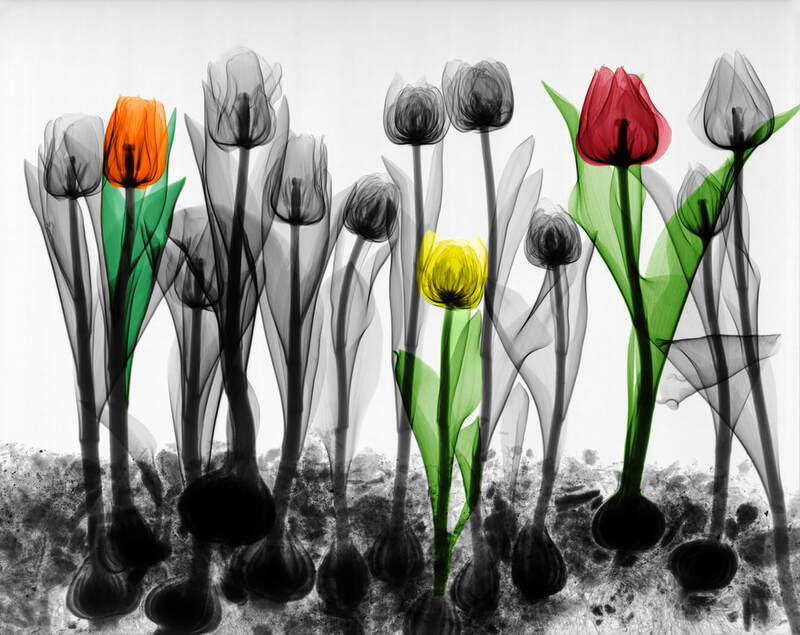 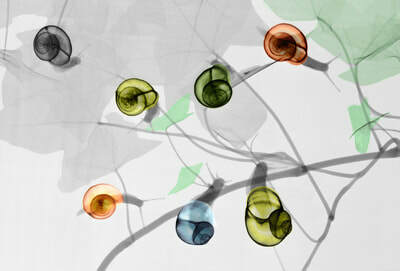 Arie van 't Riet presents a couple of works showing the nature around him, works which he created using X-ray. In his job, in which he uses X-ray for medical purposes, he became fascinated by the possibilities of the medium. 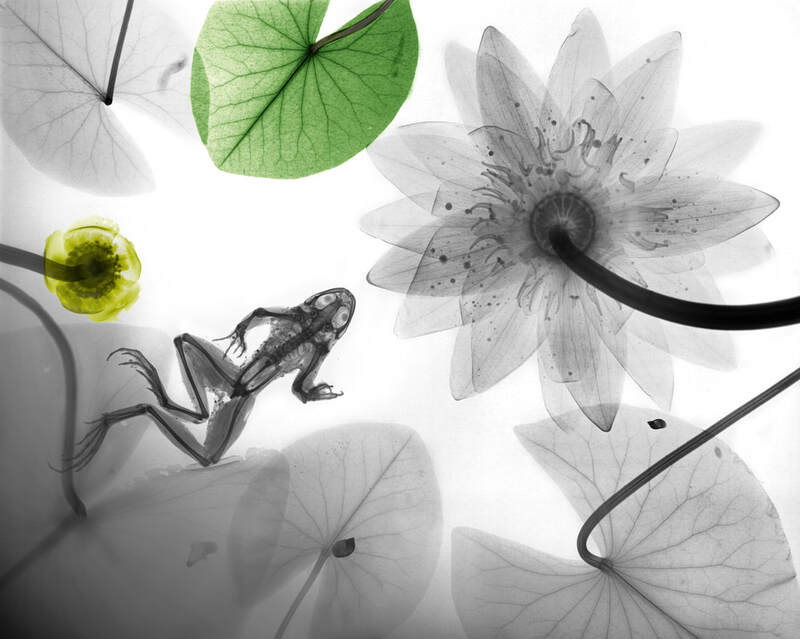 So very different from light, for which we have a refined sense. 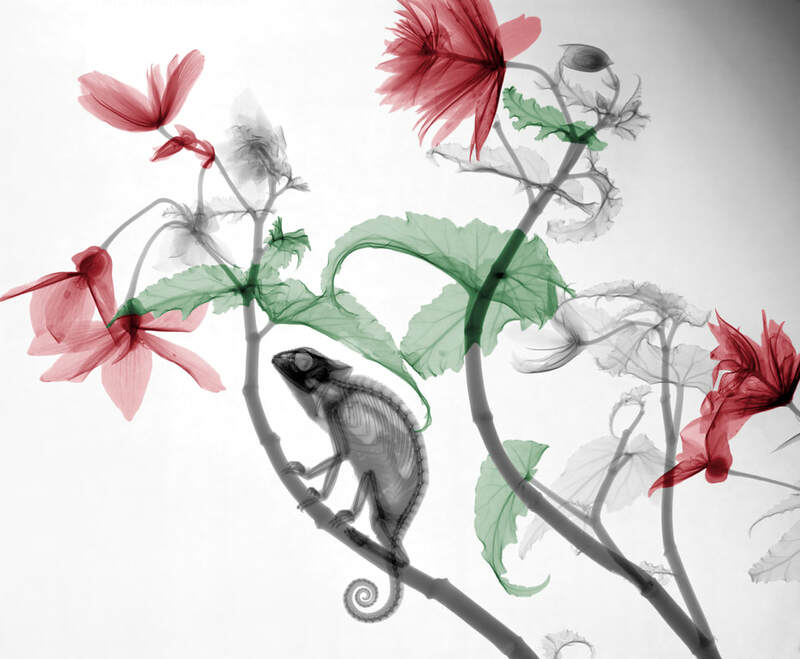 We are able to see light images because the object reflects light back to our eye. X-ray is quite different. 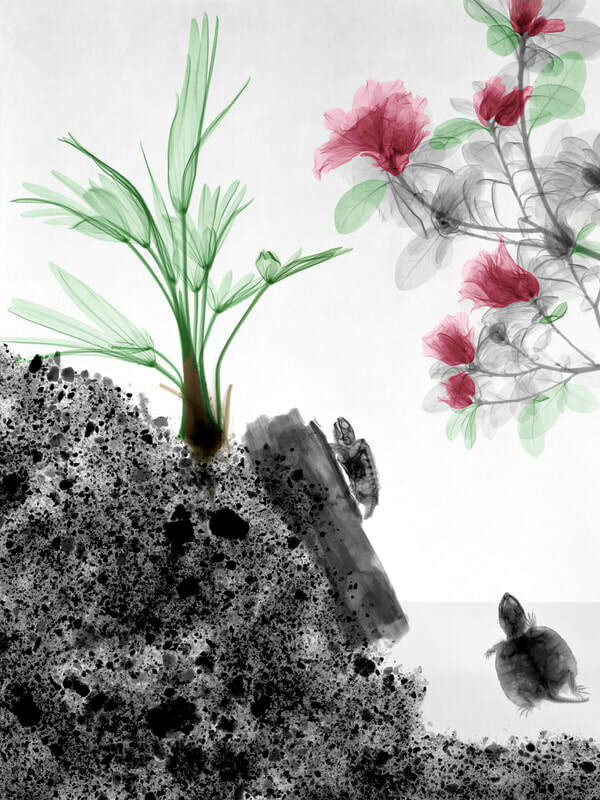 X-ray penetrates the object. The image is formed behind the object, as a kind of shadow. 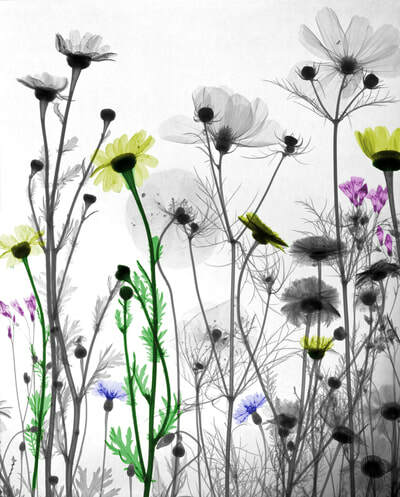 What do our surroundings look like, seen through X-ray glasses? 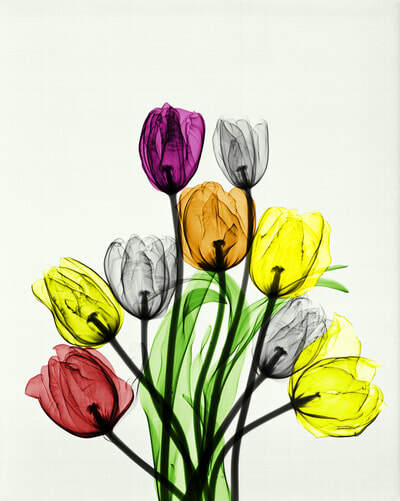 That is what Van 't Riet tries to present. 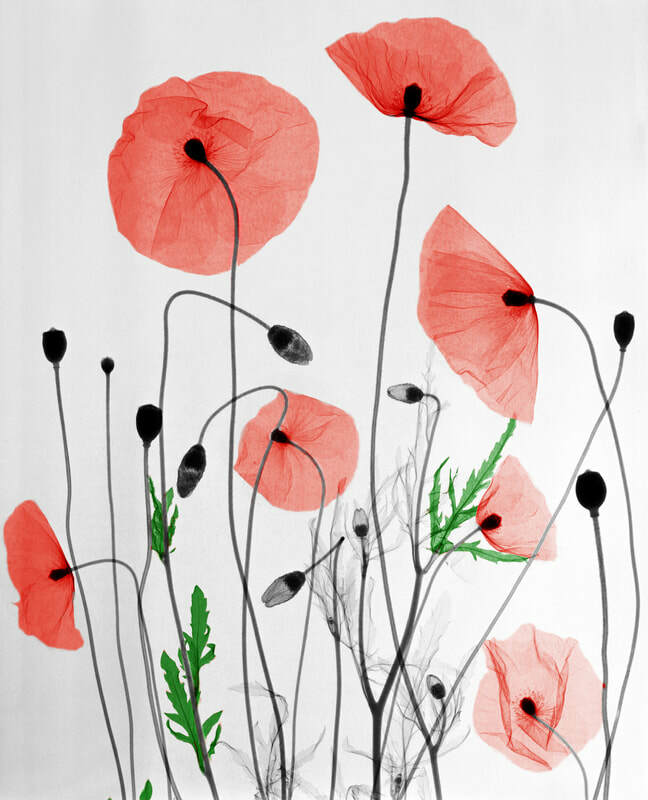 The silver bromide X-ray film which provides a black and white negative image, was digitised and reversed to a positive image, after which colour was added manually to certain areas of the image.